For those of you across the pond, tune in tonight to Channel 4’s First Cut series, when film-maker Susannah Price reveals the story behind the Joyce Hatto scam. Her documentary includes interviews with some of the duped critics and also an interview with Hatto’s partner, Barrington-Coupe, who speaks publicly for the first time about his role in the scam. At the time such lavish praise seemed perfectly reasonable, given that Hatto’s recordings were beginning to outsell even those of Alfred Brendel or Vladimir Ashkenazy. But one of music’s greatest shams was about to be spectacularly uncovered by a young American financier, Brian Ventura. He had transferred one of Hatto’s discs to his iPod before setting off that morning to his office on Wall Street. En route, he realised the name popping up on his screen was that of the Hungarian virtuoso Laszlo Simon, not Hatto. He immediately contacted Gramophone. Suddenly, the music critics who had been drooling over the septuagenarian’s miraculous return from the cold ran for cover. Further forensic investigation revealed Hatto’s recordings to be ingeniously disguised fakes. Barrington-Coupe had used his technical expertise to plunder recordings by such unsuspecting virtuoso pianists as Paul Kim and Marc-André Hamelin, and reissue them under his wife’s name. He had simply slowed down some passages, speeded up others, occasionally altered the balance between the treble and bass, and even swapped channels to reverse the stereo effect. What a great way to get kids motivated! I wonder if there is a function to help you learn lines and spaces…. Published by Game Life and distributed by Namco, the title includes an eight note full-octave keyboard peripheral. 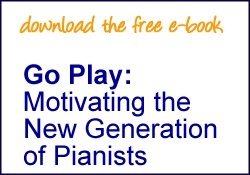 The various game modes are designed to guide newcomers through their first steps into the world of piano playing, while more experienced pianists can try their hand at a number of classics. Music from the likes of Mozart and Beethoven is included along with a number of contemporary tracks such as Bohemian Rhapsody, Bittersweet Symphony and Jingle Bells. I started reading about the two new Mozart pieces that were discovered last week. They are currently in the possession of The International Mozarteum Foundation in Salzburg, Austria, and set to be performed on Mozart’s own fortepiano at the family’s old Salzburg residence in a press conference on August 2. In 2006, a year filled with celebrations for the 250th anniversary of Austria’s favourite son, another piano score extremely likely to be the work of young Wolfgang Amadeus was discovered in Salzburg. In May of last year, experts also identified three mystery musical scores discovered at Poland’s historic Jasna Gora Roman Catholic monastery in southern Poland, as possible Mozart creations. A French museum has found a previously unknown piece of music handwritten by Mozart, a researcher said Thursday. The 18th century melody sketch is missing the harmony and instrumentation but was described as an important find.Ulrich Leisinger, head of research at the International Mozarteum Foundation in Salzburg, Austria, said there is no doubt that the single sheet was written by the composer. Forget looking for another copy of the Declaration of Independence. It just might be easier to find another Mozart original! 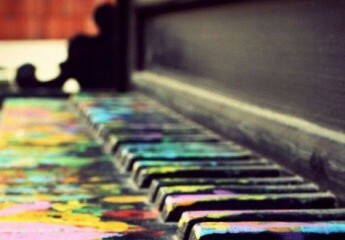 No age limits on piano playing! In study after study, of composers, basketball players, fiction writers, ice-skaters, concert pianists, chess players, master criminals… this number comes up again and again. Ten thousand hours is equivalent to roughly three hours a day, or 20 hours a week, of practice over 10 years… No one has yet found a case in which true world-class expertise was accomplished in less time. It seems that it takes the brain this long to assimilate all that it needs to know to achieve true mastery. And don’t think Mozart got away with less. According to Gladwell, music critic Harold Schonberg, Mozart “developed late,” since he didn’t produce his greatest work until he had been composing for more than twenty years. Read The Artful Manager’s take on this here. The Cliburn winners have begun their national tour. This summer gold medalists, Nobuyuki Tsujii and Haochen Zhang, will be performing at the Aspen Festival on July 23 and 25. Silver medalist, Yeol Eum Son will perform with the Pacific Symphony Orchestra on August 8th and finalist Di Wu will appear at the Bear Valley Music Festival July 31-August 3. The complete schedule through October is available here. And in case you missed it, or just want to hear them again, the finalists performances are still available here. I’m (re)listening to Nobu’s Appassionato right now.